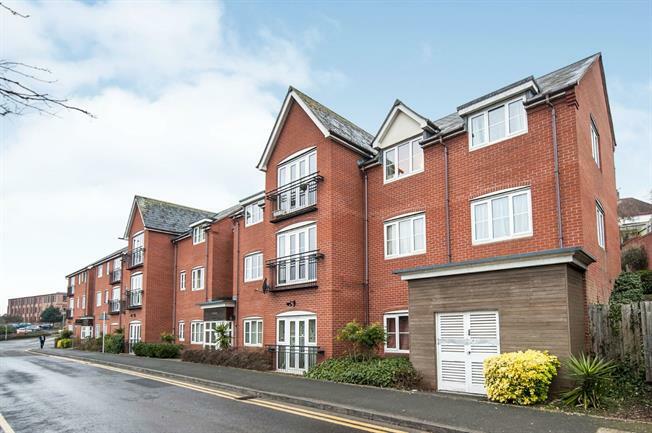 2 Bedroom Flat For Sale in Evesham for Offers Over £130,000. The two double bedroom apartment comprises; communal entrance hall with stairs to the first floor, with door into the reception hallway. Access from the hall in to both double bedrooms, the bathroom, & lounge/diner. From the lounge/diner is the opening into the contemporary kitchen, with integrated appliances. The master bedroom has an en-suite shower. The bathroom has a bath, wash hand basin & W.C. There is a communal outside patio area for use by the residents & an allocated car parking space that is under cover. With doors into the two bedrooms, bathroom, airing cupboard & lounge/diner. With shower cubicle, pedestal wash hand basin & W.C. Towel rail & extractor. With base & wall units, integrated oven & hob & space for white goods.